What is LOVE, Dr. Cookerly? : For Failing Love: Avoid, or Convert, or Escape? Synopsis: Briefly introduced here are three approaches for dealing with the enormously destructive issue of failing love and how to choose and then get started on each. Love relationships that fail are a monumentally tragic life-harming and life-destroying problem for countless millions all over the world! Agonizing breakups, anxiety filled separations, divorce resulting depression, loveless ongoing mutual-misery marriages, addiction relapses, relationship suicides and murders, wounded children, relational related abuse, loneliness, empty life problems and much more – all common outcomes of failing love. What to do about failing love baffles and confounds so many people. Perhaps you are one of them or someone dear to you struggles with this issue. To help cut through the enormous confusion about failing love here are three basic strategies or approaches known to help people think more clearly to get past failing love and then go on to successful, healthy love. If you are not now in a heart–mate type love relationship, or if you think you are in love and do not want it to turn into a failing love, or if you have couple troubles and do not wish to go further into failure here are some things you can do. Learn to identify and avoid what leads into failure. Do not just study what goes wrong but discover what leads up to and precedes failure. You can do this both in small-scale and large-scale ways as well as for short-term and long-term patterns and situations. Do not forget to look at your own preceding contributions to triggering or causing failure events. Major love failures are often built out of a series of mini-love-failures which possibly could have been avoided. 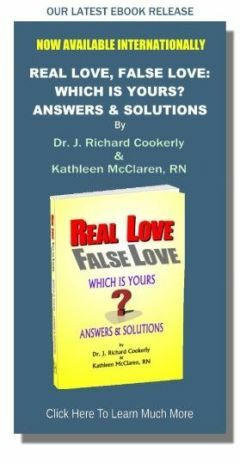 I am biased but I heartily recommend you and your loved ones study the dozen, big, false love patterns found in our book, Real Love False Love , so you can be sure to avoid them. As you are right now, you can keep studying the free mini-love-lessons that have to do with identifying and avoiding the traps and tragedies of love gone wrong found at this site. We especially recommend working on identifying and avoiding anti-love, pseudo-love and non-love communications and behaviors. Who to avoid and why also is an important area of study and learning that is an act of healthy self-love. Sadly, some people subconsciously are programmed to be attracted to, and to fall in false love with only those who will hurt, harm and destroy them. Sharpening your own personal love knowledge of who you might be vulnerable to and how to avoid dangerous, self-sabotaging situations can be love-protective and life-protective. Lots of people get into bad-for-them relationships and have repeating love failures because they don’t do this. Probably most major love failures, traps and tragedies could have been and can be avoided by those who learn how to identify and avoid. So work on your failure avoidance skills and free yourself to go on to the wonders, marvels and happiness of healthy, real and successful love. A great many people in failing love relationships find they can convert failure to success if they work at it in the right ways, hard enough and long enough. Sadly, a great many other people do not do this. That also is true for every type of love relationship: parent, child, friend, family, comrade, self, etc. – all forms of love can improve with work. By way of recent really good research, we finally are learning what truly works to make love success. You can learn that too, and you are started or are progressing on that love learning path right now because you are reading this. The feedback we get tells us many of our mini-love-lessons have helped a large number of individuals, couples, families and others convert failing love to successful love. Also, I am proud to say our book, Recovering Love, is about converting failing love to successful love and for years has been helping couples, and also especially couples facing addiction issues. Furthermore, the third major section of Real Love False Love contains some powerful how to’s for converting false love to real love. Lots of other books, classes, retreats, workshops, couple’s counseling groups, and support groups, couple’s counselors and family therapists are very beneficial in helping people discover what it takes to convert failing love to successful love. Consider availing yourself of any and all of that. Lots of people give up too soon or they just do not go about the work of learning and practicing what works for healthy, real, love relating. Ovid, the great Roman poet and teacher of love, in the year 01 taught two things that apply here. 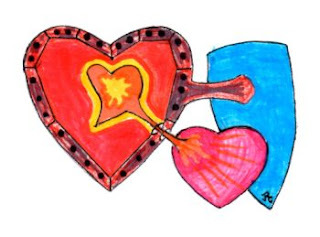 First “if you would be loved – be lovable” and second “lasting love requires skill”. So, if you would convert love failure to love success, get busy developing your love skills and do not ever quit. If you are in a failing love relationship that keeps failing in spite of you and your spouse’s or heart mate’s best efforts over time, if the relationship is physically and/or psychologically increasingly debilitating and/or dangerous and destructive, healthy self-love demands that you consider escaping. Trying endlessly in a deteriorating, destructive situation probably will just harm or destroy you, wound kids if they are involved, hurt or harm some others and likely enable your spouse’s dysfunction and decline. Escape allows recovery and repair, followed by doing yourself and others more good than if you had remained in a destructive trap. You might even go back to him or her some day, but don’t unless you and hopefully your ex are far stronger and more powerfully love skilled. Escaping a failing love relationship almost always is hard, painful conflicted and confusing but, if it means survival and not wasting your life, it could be the only healthy thing to do. It also often can be the only way to help children, family, friends and even the other person in the relationship. At this site, there is lots of totally free information that can help in making a healthful for all concerned escape. Furthermore, in the last third of Real Love False Love there is a very helpful, strong section on healthful escape. After escape from a destructive and failing love relationship, you may do best to engage in a lot of healthy, self-love, recovery work. Do not just stay wounded forever like some do. We humans are meant to heal and go on to more and better living. After escape, study how to avoid love failures in the future. If you escape from a seriously failing love relationship do you really want to go through getting into another similar situation from which you need to escape again? I hope you will go on to a love-successful life enriched by all that love can bring. So, do your homework, study love and make that more likely. ♥ Love Success Question: Exactly what will you do next for learning more about how to avoid failing love, convert failing love to successful love, or escape toxic, destructive, failing and false love?